CA, May 2018: BlackBeltHelp, a leading provider of premium quality help desk products and services in the US higher education industry, is elated to announce that University of South Dakota has selected BlackBeltHelp for 24x7 IT helpdesk support. Under this engagement, BlackBeltHelp will provide IT support to University of South Dakota around-the-clock. This partnership will help the university optimize its existing IT infrastructure and further strengthen the IT framework at its campus. BlackBeltHelp’s proficient customer service agents will tend to the university’s end-users’ issues and ensure their timely resolution. BlackBeltHelp, working as an extension of the USD’s team, will ensure that someone is always there to address the problems their end-users encounter. “A robust IT support framework is critical for the smooth functioning of various processes at an organization – the users expect immediate response and resolution when they call the help desk with issues or requests. That’s why it becomes imperative for the institutions to keep their IT helpdesk up and running" said Ron Bhalla, CEO, BlackBeltHelp. “We are pleased to have been selected by University of South Dakota and look forward to helping them improve the student experience at their campus" he further added. Established by the Dakota Territory legislature in 1862, University of South Dakota is the oldest public university in the state. The University of South Dakota is home to South Dakota's only medical school, law school, and accredited business school. Located in Vermillion, South Dakota, USD has an enrollment of 10,261 (Fall 2017). 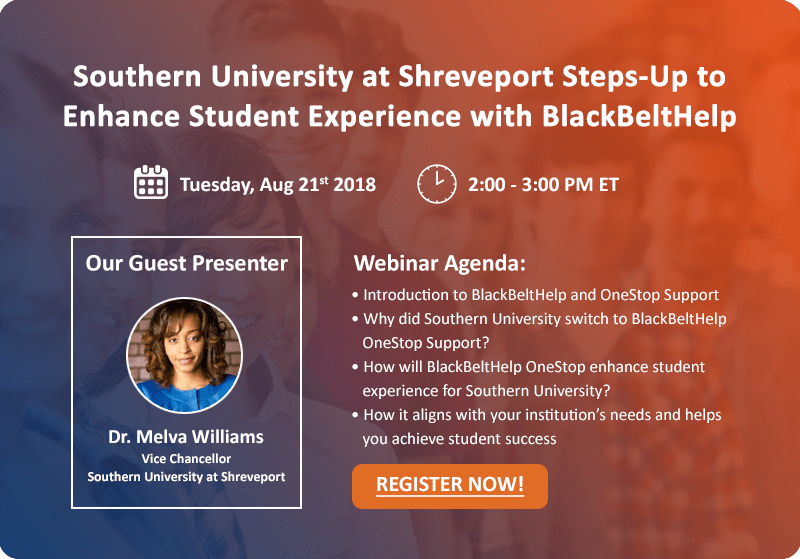 BlackBeltHelp has been a leading provider of help desk products and services ranging from IT, LMS, admissions & enrollments, financial aid, advising to Facilities and Switchboard, in the US higher education landscape for past 6 years. We aim to increase student and institutional success by providing excellent help desk products and services, leveraging innovative technologies.